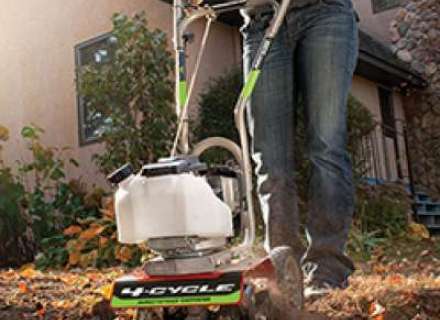 Tillers are available in many sizes, the smallest being little more than powered hoes, but ideal for easy weed control in regularly tilled areas and in between shrubs etc. The cultivators with aprox 3.5 hp motors will be of the front tyne variety and suited to cultivating previously tilled ground, whereas the 6hp models willbe suited to rotavating of virgin pasture. 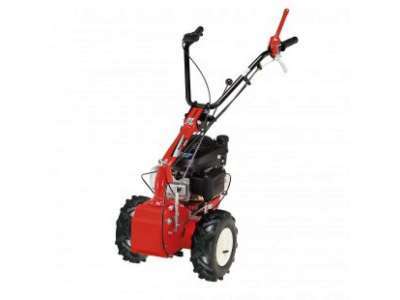 The rear tyne tillers with front driven wheels are the ultimate machines and are suitable for larger areas. An incredibly versatile Two Wheel Tractor unit, with 4 stroke Honda GCV160 OHV engine.